Donald Trump is running scared right now. Even though he still holds the title of being the GOP frontrunner, his campaign’s tactics are telling us that he’s clearly growing concerned about the rise of Ted Cruz. In the last few days, Donald has been raising the issue of Cruz’s eligibility to even run for president, claiming that he may actually be Canadian, and therefore not an American citizen. 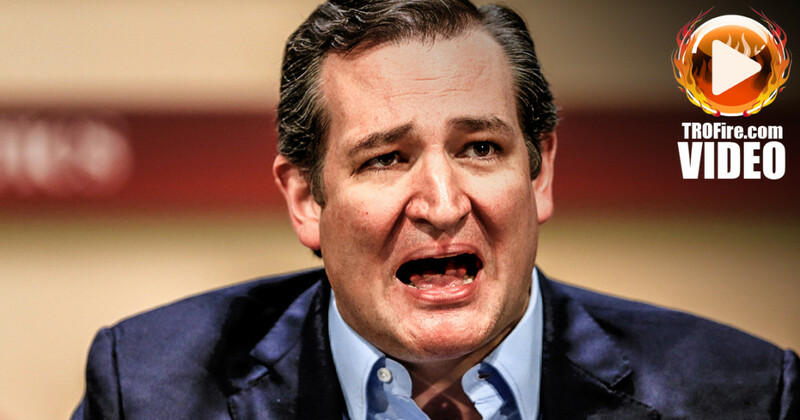 While it is true that Cruz was born in Canada to an American mother, he has always held dual citizenship until winning his U.S. Senate seat, at which point he renounced his Canadian citizenship. But Trump isn’t letting the facts get in the way of a good talking point, and he told The Washington Post last week that Cruz’s citizenship issue is going to a major campaign hurdle for Cruz. And to be perfectly honest, Donald Trump is right about that. The Republican Party spent years trying to convince American voters that President Obama was not actually an American citizen, and Trump himself was one of the leading whackos demanding to see President Obama’s birth certificate. Even though the President had already released the long form certificate, many Republicans simply countered by saying that the whole thing was forged. So it could very well become a campaign issue for Ted Cruz, but only because the Republicans have been so relentlessly stupid in their quest to prove that President Obama isn’t a citizen. Already we’re beginning to see other right wing crazies jump into the fight, with Ann Coulter telling us that Ted Cruz is not an American citizen and shouldn’t be allowed to be president. Cruz himself has responded to these claims by tweeting out a video of The Fonz from Happy Days jumping the shark. The takeaway here is the Donald Trump is clearly becoming desperate to derail the growing popularity of Ted Cruz. The question that the Republican Party needs to answer for themselves now is which candidate would you rather have representing your Party in 2016 – Trump or Cruz? If they had any sense, they’d pick none of the above.